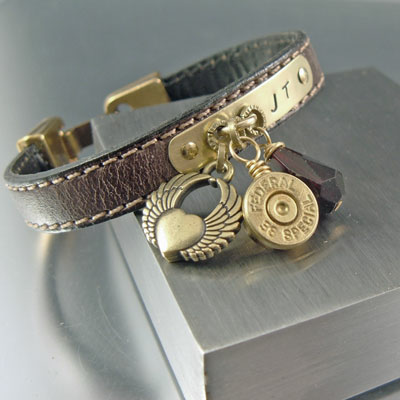 Every time you wear this bullet bracelet you're going to get complements. It's individual, unique, very stylish and it's been made just for you. You create how you want your bracelet to look. 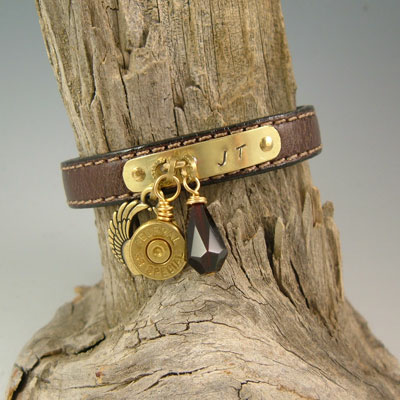 At check out in the "comments" area, indicate the 2 initials you'd like on your bracelet. 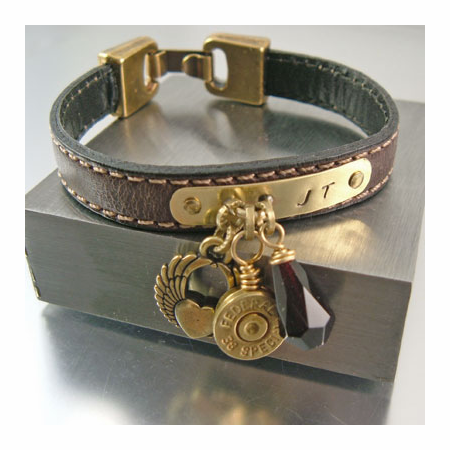 IF NO INITIALS ARE INDICATED NONE WILL APPEAR ON THE BRACELET. 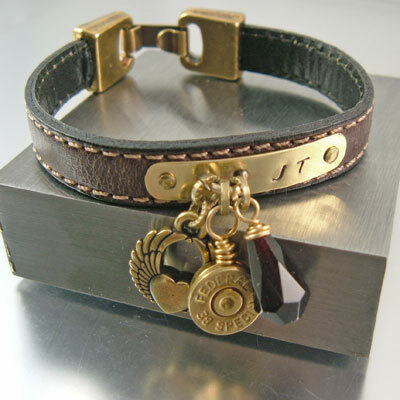 Initials cannot be added once the bracelet has been made. 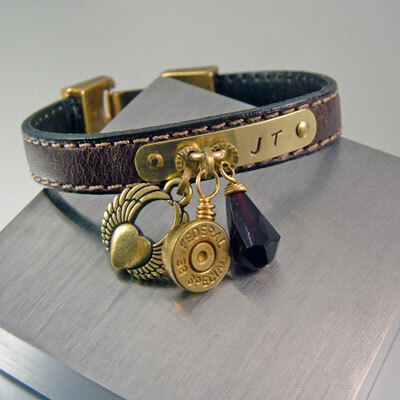 Each bracelet is individually made when ordered. 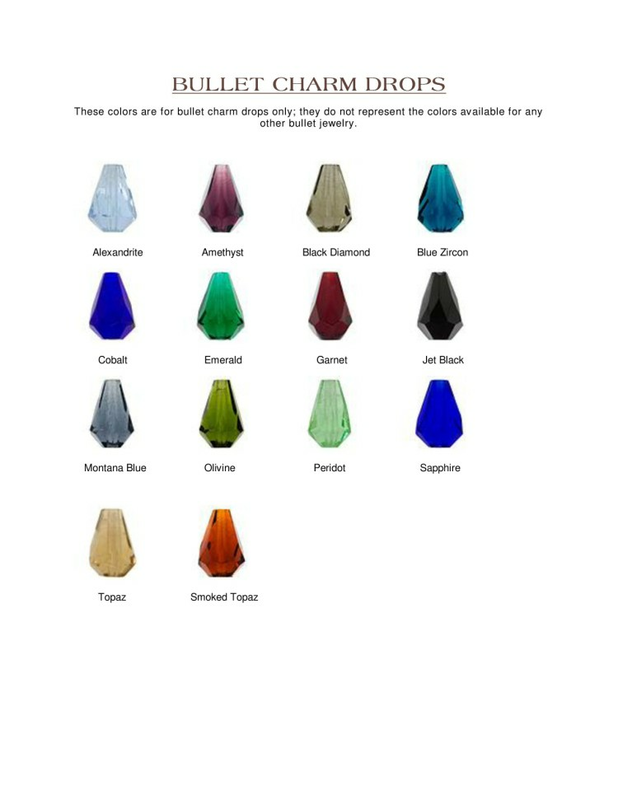 Under normal circumstances your bracelet will be shipped within 10 business days or sooner.